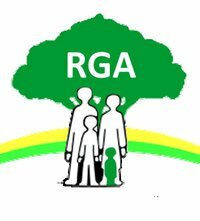 As Chair of The RGA I would like to join with the Chairs of The Child Growth Foundation, The Dwarf Sports Association, The Little People of Ireland, Little People UK and Short Stature Scotland in announcing an important agreement that our organisations reached unanimously at the 1st Achondroplasia Symposium held in Newcastle on the 20th and 21st of September 2014. We have agreed to work with Dr. Michael Wright of Newcastle Hospitals and Dr. Melita Irving of the Evelina London Children’s Hospital to support the a group of clinicians who wish to improve the quality of healthcare services available to all people of restricted growth in the UK and Ireland. We will work collectively with this group of clinicians and each of our organisations will have a representative on the group. The first piece of work will focus on the needs of adults with achondroplasia but the information and services developed will be of relevance to all of our members. We will work together to produce information endorsed by all of our organisations which will be made available on a single website. This will provide a single point of access to our organisations and will ensure that there is clarity about what each of our organisations has to offer. We will work together to the benefit of those to whom we provide services and those who need our support but have not yet found us. We will be supportive of each organisation and will seek to collaborate wherever possible. We will refrain from inappropriate criticism of individuals and of other organisations. We will meet on a regular basis to discuss areas for future collaboration. We encourage all of our members to recognise the importance of this initiative and to work with us to ensure its success.